LAVAL, QUE. – Complexe Volkswagen 440 boasts a showroom that can hold 100 ready-to-deliver Volkswagens. That gives it bragging rights to being the largest VW showroom of its kind in Canada. 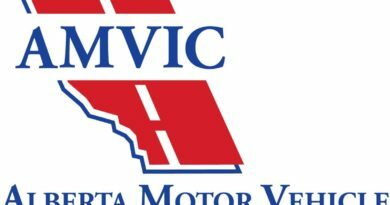 Once the customer inks the purchase agreement, with the help of a staff that totals over 100, they can drive away with their vehicle in less than two hours. Arbour Group says it invested over $10 million in the new building. That sum paid for a 57,000-square-foot facility on a 200,000 square-foot lot, which houses a body shop and a parts warehouse as well as a service department. The facility, located in Laval, Que., officially opened for business with a ribbon cutting on Apr. 13. The group says its new store also stands out for its attention to detail with features such as LED lighting, total electricity consumption of only 30,000 kilowatts and reduced visual clutter with an underground storage space for recycling bins and garbage cans. Materials have also been selected to ensure optimal soundproofing, along with large windows and high ceilings, the group says. 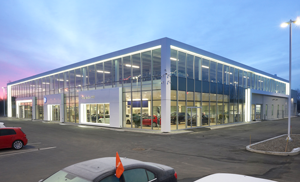 Arbour Group also owns two dealerships on the North Shore of Montreal: Arbour Volkswagen and Complexe Volkswagen 440. Sixty years after its founding in 1952, it remains a family business spanning three generations and is one of the largest Volkswagen dealers groups in the country.